Keener’s audience remains the same as the first edition. He writes for “busy pastors and other Bible readers who have fewer resources and less time available” (p. 19). As a result, Keener omits most references that scholars and more curious Bible readers would find useful. 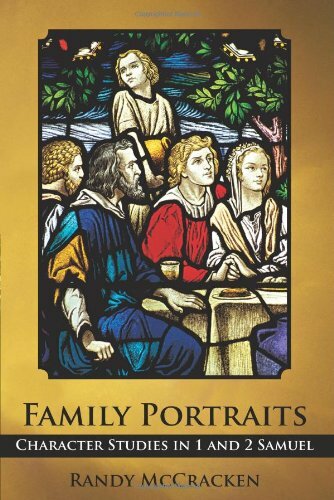 With this target audience in mind, Keener’s New Testament background commentary begins with a 36-page introduction on how to use the commentary and why there is a need for such a commentary. As in the first edition, Keener has retained an introductory section discussing the significance of the gospels, as well as, New Testament letters. Each New Testament book is also preceded by a brief introduction. The glossary (also included in the first edition) has some new additions, such as “magic” and “Pilate,” while some definitions have been expanded such as “Satan” and “Son of God.” The maps and charts section at the end of the book remains basically unchanged (an additional map of Paul’s missionary journeys has been added rather than having one map for journeys one and two). Besides the changes mentioned above, the commentary itself has been expanded in many places. As an example, I compared Keener’s treatment of Luke and Acts with the first and second editions of his commentary. These additions include anything from a sentence to a whole new paragraph. Sometimes additions are weaved around previous material and in other instances a new paragraph, or more, may be added. Some examples of ample additional material include Keener’s comments on ancient literacy in Luke 4:16, and his comments on hospitality and the woman who anointed his feet in Luke 7:43-46. Keener has greatly expanded his comments about Paul’s sea voyage to Rome (Acts 27), as well as his circumstances in Rome (Acts 28), compared to his earlier treatment of this material. 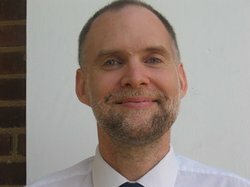 Keener has also added some helpful new tables within the commentary such as Table 1 in the Gospel of Luke (“Early Parallels in Luke’), Table 2 (“Echoes of Hannah’s Song”–comparing the Mary’s Magnificat with 1 Samuel 2:1-10), and Table 7 in 1 Thessalonians (“Parallels Between 1-2 Thessalonians and Jesus’ Teachings”). At times, Keener has also omitted some material. For example, in the story about the widow of Nain in Luke 7:11-17, he omits his previous comment about what philosophers would often say to console the bereaved (compare Luke 7:13 in both editions). What Can Be Learned From Keener’s New Testament Bible Background Commentary? What can be learned from this commentary? Much more than there is space to tell! The reader will learn about ancient weights, measurements and money, funeral customs, weddings, geography (including how understanding certain facts about various ancient cities helps one to better understand a particular story), the nature of teachers and their disciples, honor and shame, kinship bonds and relations, education, schooling, and literacy, population estimates of various significant cities, Roman government officials, Roman armies (their makeup, their leaders), and on and on. Whether you are new to the study of New Testament backgrounds, or a more knowledgeable student, Keener’s New Testament Bible background commentary contains something that everyone can benefit from. Allow me to cite two examples. Keener notes that ancient authors writing either histories (like Acts) or biographies (like the gospels) often drew parallels between people in the narrative. An example of this is the contrast between Zacharias’s response to the birth announcement by the angel with that of Mary’s (see comments on Luke 1:26-38, p. 180). Another helpful insight concerns the way ancient histories were written. Keener notes that ancient authors intentionally varied their vocabulary when talking about an identical event. He states, “This pattern should warn us not to read modern expectations of verbatim quotation into ancient works that no one would read that way” (p. 319, comments on Acts 1:1-5). This observation is helpful for understanding the slightly different versions that Luke gives of Jesus’ words before he ascends (comparing Luke 24 and Acts 1), as well as, Paul’s three slightly different accounts of his conversion. In conclusion, Keener has made an excellent commentary even better with this newly revised edition. This is definitely a book that should be on everyone’s shelf who is interested in better understanding the New Testament. 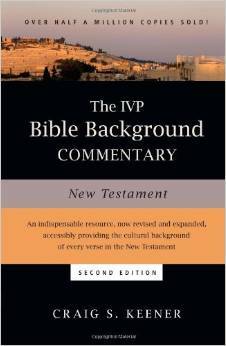 (Thanks to IVP for providing a copy of this New Testament Bible background commentary in exchange for a fair and unbiased review).